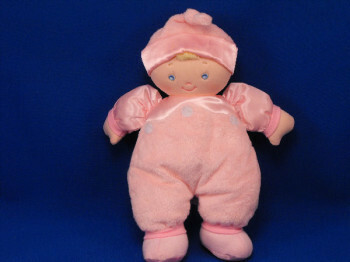 I’m looking for a Baby GUND 12 inch embroidered face blond BOY doll (SATIN DOLLY) wearing a blue velour sleeper with satin top and arms and a matching cap. Looking for a toy from your childhood? A backup? A replacement? A lost lovie???? “But they that wait upon the LORD shall renew their strength; they shall mount up with wings as eagles; they shall run, and not be weary; and they shall walk, and not faint. " Our Search Service is entirely FREE, but if you would like to make a donation it is certainly appreciated!